In the warm waters of the azure Indian Ocean lies a tropical dream island – Mirihi Island Resort. 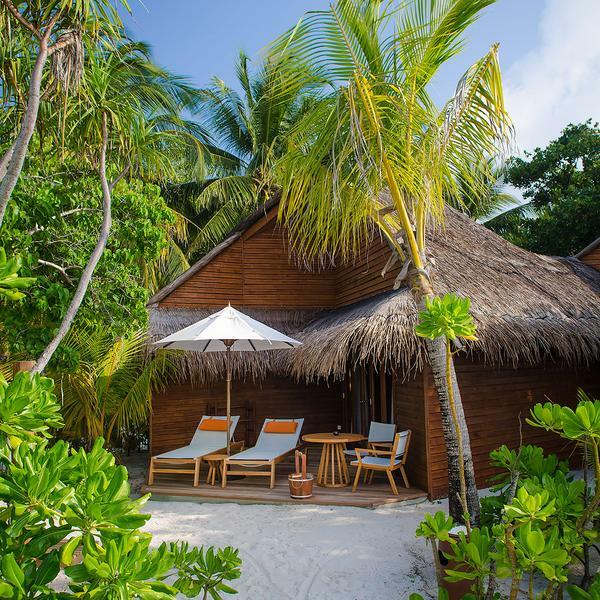 Combining modern and traditional elements, the small paradise has been freshly renovated and reopened in December 2014 with a new shine, but still maintaining its unique Maldivian character. Mirihi is located in the South Ari Atoll, reachable from Male on a 30-minute picturesque seaplane flight. 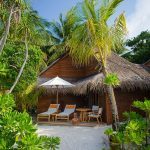 Due to its size and limited number of Villas, Mirihi is considered as being one of the smallest islands in the Maldives. This emerald gem is just 350 meters long and 50 meters wide with palm-fringed beaches and sand as soft as powder, inviting you to leave your shoes behind for the duration of your stay. Only a few metres into the sea, our spectacular house reef awaits you. More space, more light, more privacy. The brand-new 2-bedroom Overwater Suite (160sqm) has its own jetty and offers the ultimate over-water living experience on Mirihi, as it is situated directly over one of the most beautiful parts of our truly amazing house reef. The Suite consists of 2 bedrooms, 2 bathrooms, a spacious living area & outside deck and is therefore ideal for families or a group of friends. 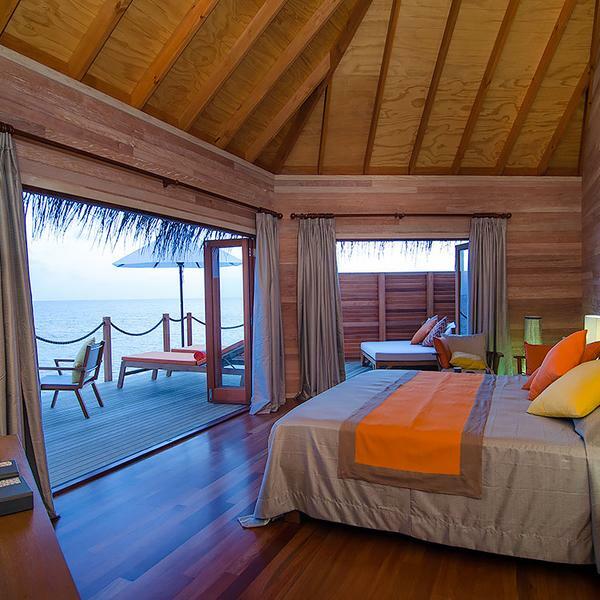 For its other high quality features, please look at our Water Villas. 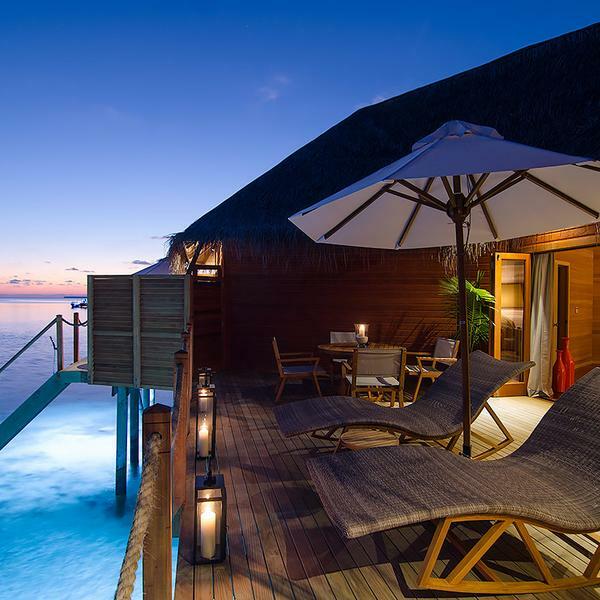 The 30 tastefully designed Water Villas (53sqm) are built on stilts over the blue lagoon. 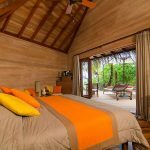 All the Villas have been conceived to the same high standard with designer furnishings, polished wooden floors, king size or twin beds, air conditioning, ceiling fan, sitting area with CD stereo system and fully stocked minibar, Coffee and Espresso maker, IDD telephone, personal safe and free WiFi. The Water Villas will spoil you with their spacious, luxurious en-suite bathrooms overlooking the ocean through two large sliding glass doors. Step outside on the private deck area and relax, as each balcony has been designed to guarantee complete privacy. Each Water Villa also offers steps from the balcony for direct accesses to the Ocean, as well as a fresh water shower at the staircase. 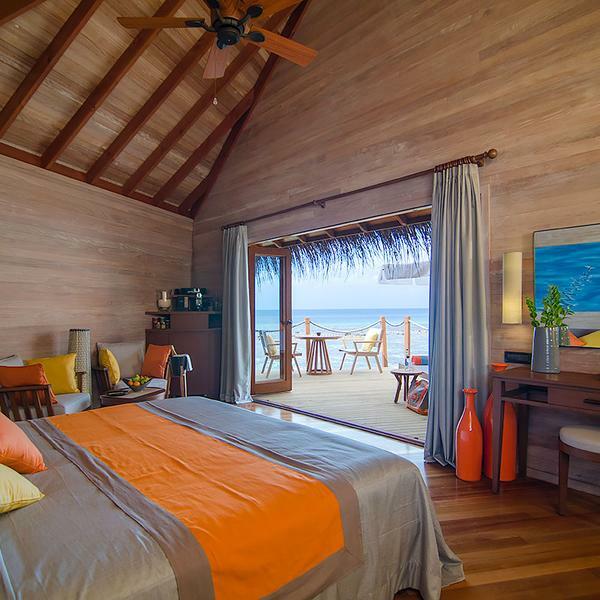 6 tastefully designed Beach Villas (53sqm) are dotted around the island. All the Villas offer the same high standard with designer furnishings, polished wooden floors, king size or twin beds, air conditioning, ceiling fan, sitting area with CD stereo system, iPod connector and fully stocked minibar, Nespresso machine, IDD telephone, personal safe and free Wi-Fi. 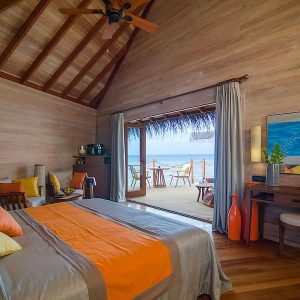 Each Beach Villa has an own sundeck, an open-air fresh water shower and direct access to the beach equipped with sun-loungers.